Braddock Bay Bird Observatory is unique for a nationally-known ornithological research, education, and conservation organization — our Board of Directors and staff are composed entirely of volunteers. Master Banders are highly-trained individuals who are licensed by federal and state governments to capture and band wild birds, and sub-permitted banders are licensed banders who work under the direction of a Master Bander. BBBO currently has nine Master Banders and ten active sub-permit holders working under the watchful eye of Betsy Brooks; you can meet several of them below while others are listed on our research associates page. In addition to our permitted banders, many other dedicated volunteers work on the migration monitoring project at the Kaiser-Manitou Beach banding station. Please connect to our volunteers page to find out how you can become involved! The North American Banding Council (NABC) promotes excellence in banding, and it certifies banders with exceptional competence. BBBO is proud to have six of our volunteers certified at the highest Trainer level of excellence, three certified at the Bander level, and one certified at the Assistant level. Betsy has held a Master Permit since 1975. Until 1985 she was strictly a backyard bander in Alfred NY. 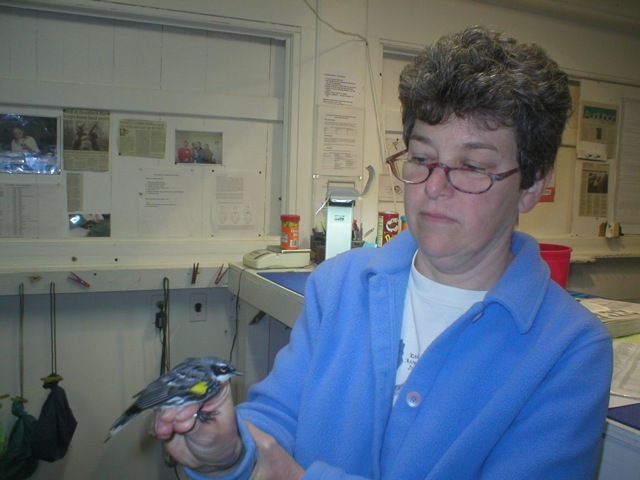 In 1985, she began occasional banding at the Kaiser-Manitou Beach (K-MB) site and since then has done intensive banding at K-MB during the spring and fall migration seasons. Altogether, Betsy has banded over 100,000 birds. During the rest of the year, she conducted Breeding Bird Censuses on a plot near Alfred, which she has done every year for more than 40 years. In addition to participating in a Fish & Wildlife Breeding Bird Survey each June, Betsy has documented over 6500 nests for the Cornell Laboratory of Ornithology’s North American Nest Record Card Program. She has completed ten years of a study documenting nesting success or failure of birds on a 50-acre Christmas tree plantation in Allegany County. She and her husband travel in the southwest during the winter. 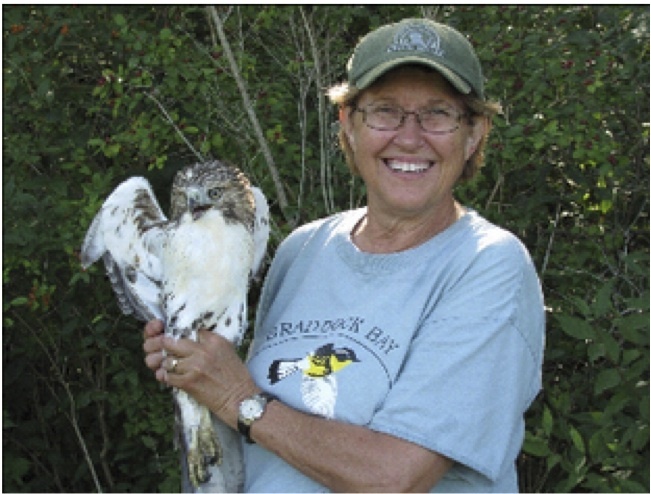 She is a Past President of BBBO, Past President of the Eastern Bird Banding Association, Chair of the EBBA Memorial Grants Committee, former EBBA board member, and editor of the Spring and Fall Atlantic Flyway Review published in North American Bird Bander. She is an NABC Certified Trainer and has taught a Bander Training Course to more than 200 students. In 2011 she received the NABC Fleming Award recognizing her contributions to bander training and development, and in the fall of 2013 BBBO named its newly renovated educational space in her honor. David received his Ph.D. from the University of Vermont School of Natural Resources in 2003, using data collected at Braddock Bay Bird Observatory in his dissertation. He currently works as the Assistant Director of Citizen Science at the Cornell Lab of Ornithology and a senior lecturer at Cornell University. 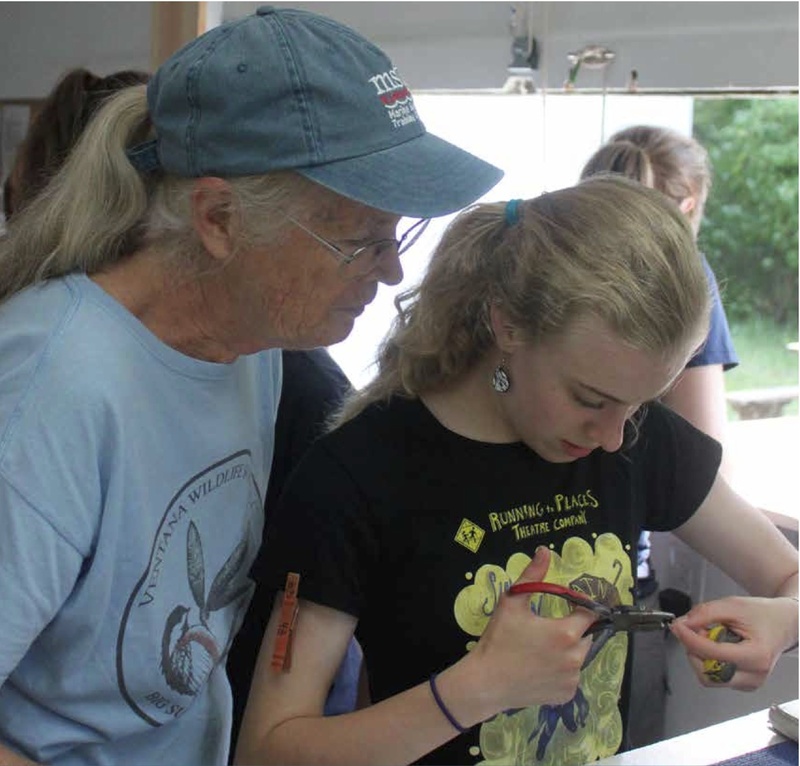 David teaches bird banding classes on campus as well as field ornithology at Cornell’s Shoals Marine Lab. He is Past-President and current board member of BBBO as well as Past-President of the Association of Field Ornithologists. You can learn more about David’s projects on his website. Linda Boutwell started volunteering at the Kaiser Manitou Beach banding station in 2003. She successfully participated in the Spring 2004 Bander Training Course and received her Master Bander license for Passerines, Near-passerines and Hummingbirds in December 2008. Professionally she co-founded the not-for-profit Migration Research Foundation, which specializes in scientific studies of at-risk and endangered avian and mammalian species. After leading the US-Canadian organization for 5 years as Executive Director, she now serves as the Treasurer for the global organization and and head of all US projects and programs. Linda has spent most of her 35-year career in the financial services industry. In her spare time, Linda enjoys wildlife-friendly gardening, birding, photography, and cooking. 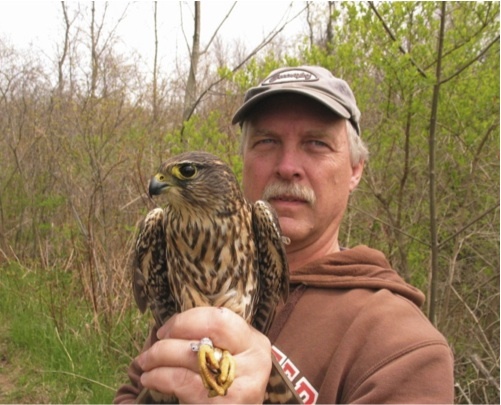 Jon began birding in 1995, and in the spring of 1998 he completed a bander training course under Betsy Brooks at the Kaiser-Manitou Beach station. Since then he has been a volunteer at K-MB, and he received his federal banding subpermit in 2001. 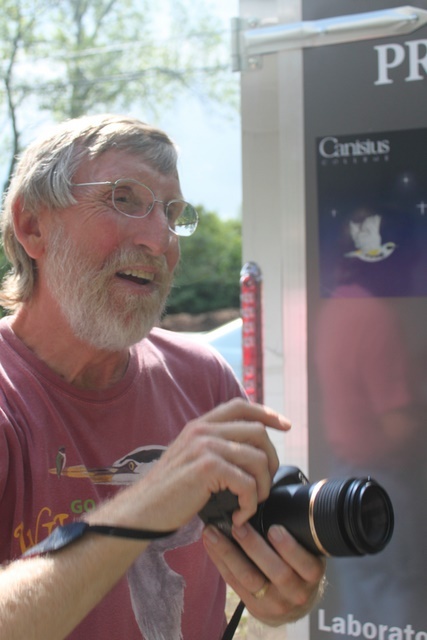 He is active in the Rochester Birding Association, and in addition to birding he enjoys photographing butterflies, dragonflies and damselflies. Erin started banding as a volunteer for C.J. Ralph in Northern California in 1992. After graduating from Humboldt State University, she moved to Oregon where she worked as a wildlife biologist for the Bureau of Land Management in Roseburg, Oregon, monitoring threatened and endangered bird (and other) species and helping to manage MAPS efforts. Since moving to New York she has traveled to band on Bon Portage Island in Nova Scotia, banded at BBBO since spring 2001, and started two MAPS stations. Erin was certified as a NABC Trainer in October 2004. Ryan Kayhart became interested in birds when he watched Cardinals at his feeder in Vergennes VT. In the spring of 1999, Ryan came to BBBO with Rodney Olsen’s science class from Middlebury, VT. In the spring of 2001 Ryan took his first bird out of a mist net (a Least Flycatcher). Ryan was a volunteer intern for BBBO by 2002, and by 2004 he was a paid intern. 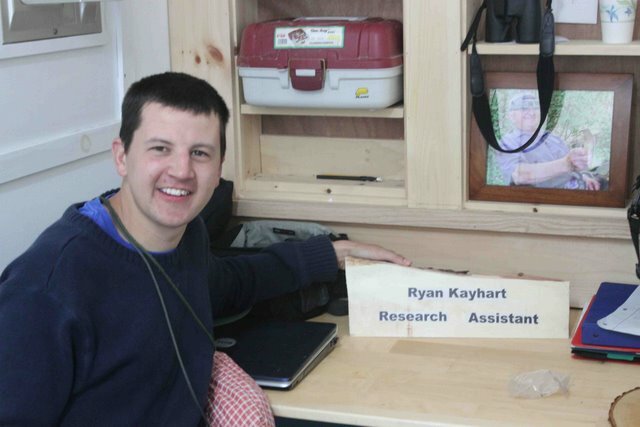 Ryan received his banding sub-permit in 2006 and he is now Research Assistant at BBBO. Ryan became a NABC certified bander in 2009. During the summer Ryan runs a MAPS (Monitoring Avian Productivity and Survivorship) Station at Dead Creek Bird Observatory in Addison, VT. Ryan enjoys banding in his backyard and his favorite bird is a Scarlet Tanager. Ryan is also the staff photographer at BBBO. Peggy retired from teaching in 2003 and started volunteering at BBBO the next year. Lots of net-picking led her to take the Bander Training Course in the spring of 2009 so she could help out at the banding tables, and continued her education that fall at an Advanced Bander Training Course at Powdermill. In addition to banding at the Kaiser-Manitou Beach station every spring and fall, Peggy has also volunteered at RITBO and at the summer MAPS stations. She has been learning about birds for the past eleven years at the station, and has loved every minute of it. Marian received her BS degree in Secondary Science Education and MS in Botany from Brockport State University. After 30 years of teaching high school physical science and biology, she is now a visiting instructor in biology at Nazareth College in Rochester. 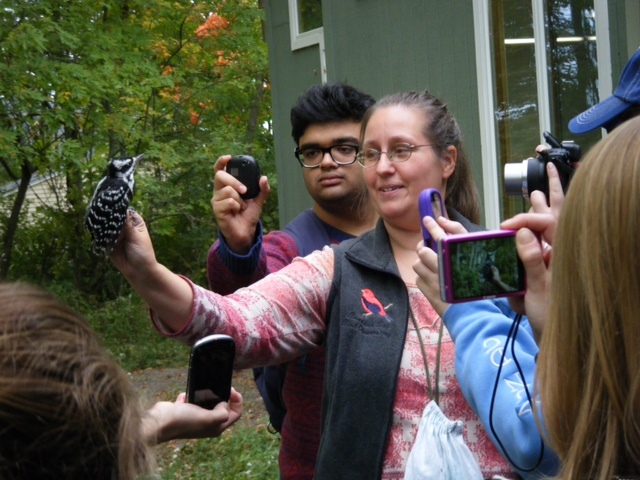 She began birding as an assistant on an international aviary study at Northampton Park in Spencerport and went on to complete the bander training course under Betsy Brooks at Kaiser-Manitou Beach Station. In the summer of 2009, she began a MAPS project on Manitou Beach Road in Rochester. She is also a regular volunteer at the K-MB Station during spring and fall migration. 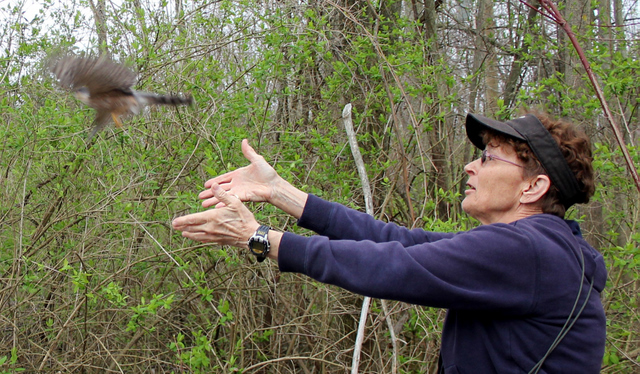 Cindy’s interest in birds began after a trip to Braddock Bay Hawkwatch in 1997. She visited Braddock Bay Bird Observatory for the first time in Spring of 1998 and has been a volunteer since the Fall of that year. She took the bander training class taught by Betsy Brooks in Spring of 2000 and received her sub-permit in Spring 2003. 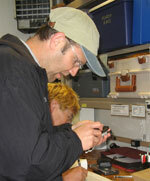 In Fall of 2003, Cindy attended a week long banding workshop at Powdermill Banding station in Pennsylvania. In addition to banding at BBBO every spring and fall, Cindy operated a MAPS station in Penfield, NY from 2003 through 2008. She has also assisted with banding operations at RITBO and has banded many Purple Martin and Bluebird nestlings for local nest box trails. She also tags and releases Monarch butterflies for the Monarchwatch organization. When not involved in birding/banding activities, Cindy enjoys gardening, quilting, knitting and spending time with family and friends. Andrea graduated from the University of Rochester with an MA in philosophy, and taught at the College of Wooster in Ohio. After returning to Rochester in the fall of 2009, she began volunteering at BBBO as an occasional net-picker. She took Betsy’s Bander Training Class in the spring of 2010, became NABC certified as a Trainer in the fall of 2011, and received her sub-permit that same fall. Currently, she serves as the Treasurer of the North American Banding Council; the 3rd Vice-President of the Eastern Bird Banding Association; a board member of the Rochester Birding Association; and President, Education Director and Newsletter Editor for BBBO. In her spare time (of which she has less and less . . .), she enjoys quilting and cooking. She is learning how to bird with binoculars, but stubbornly refuses to keep anything but a mental life list. After retiring from the Kodak Research Labs, Doug started volunteering at K-MB in the spring of 1996 and has been a volunteer each spring and fall since, except for the spring of 2005 when he was hiking the Appalachian Trail. Doug completed the bander training course under Betsy Brooks in May, 2002 and became bander #34. In 2012, he received a sub-permit to band Tree Swallows and Purple Martins. Doug serves on the BBBO House, Building, and Grounds Maintenance Committee. In his spare time, Doug is an avid hiker. He is #1320 on the Adirondack 46’er list and #144 on the winter list, and he is also a 111’er (#500) – meaning he has climbed all the peaks over 4000′ in the northeast. Formerly the Director of Environmental Science at Rochester Institute of Technology, John is a long-time naturalist and birder. He has served in a variety of conservation positions including Chair of the Board of Trustees for Central and Western NY Nature Conservancy, Chair of Monroe County Environmental Management Council, Research Committee of Montezuma National Wildlife Refuge, and Board member of the Great Lakes Research Consortium. Currently, he serves on the board of the Eastern Bird Banding Association, and he is the Vice-President of the Rochester Birding Association. John took the bander training course under Betsy Brooks in 2000 and received his sub-permit in 2002. 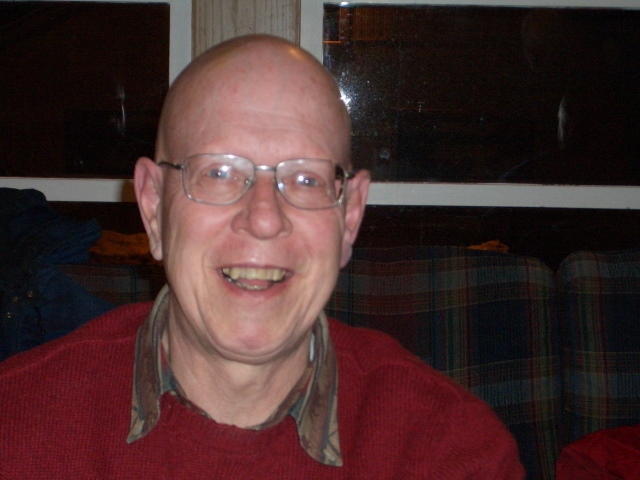 While retired from actively supervising students, John still supports several research interests including investigating the age distribution of migrants along major geophysical features, investigating sexual dimorphism due to UV reflectance, and the investigation of banding methods in conservation planning and monitoring (both in North America and Central America). 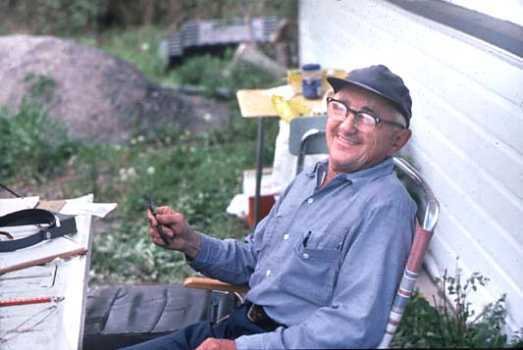 A legendary bird bander and friend of BBBO, Bob McKinney passed away in October 2011 and is greatly missed by all. Bob started banding in 1950. In addition to banding in the Manitou Beach area since 1960, he did a great deal of banding at his home in Penfield NY, just outside Rochester. 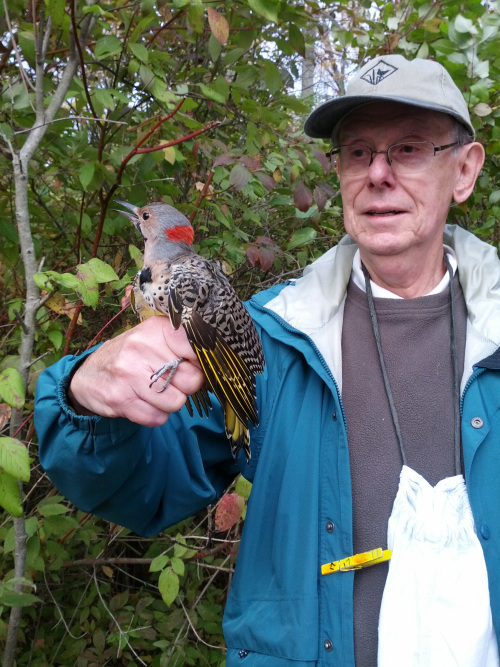 He also banded for the MAPS (Monitoring Avian Productivity and Survivorship) project at a site in the Finger Lakes hill country, and banded in the Adirondack Mountains of northern New York in spring through fall. Each fall, for the best part of two weeks, he banded on the New Jersey shore. Bob served on the Board of Directors and as Treasurer of BBBO for many years, and as a Councilor and past Secretary of the Eastern Bird Banding Association.